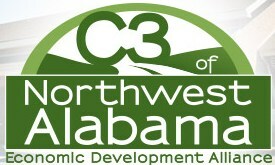 C3 of Northwest Alabama is a cooperative marketing effort of the cities and three counties, Fayette, Marion and Lamar, in Northwest Alabama. 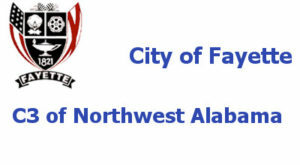 Created in 2010, it acts as an economic development alliance to facilitate the creation of jobs by new and existing companies. C3 acts as a confidential assistant to provide help in locating property, buildings and resources plus information about laws and legal requirements, and other assistance as needed. This service is provided at no cost or obligation.